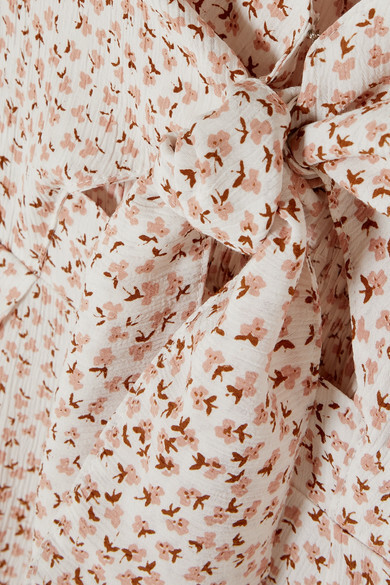 Faithfull The Brand's collections are all handmade, and the prints are originally hand-painted. 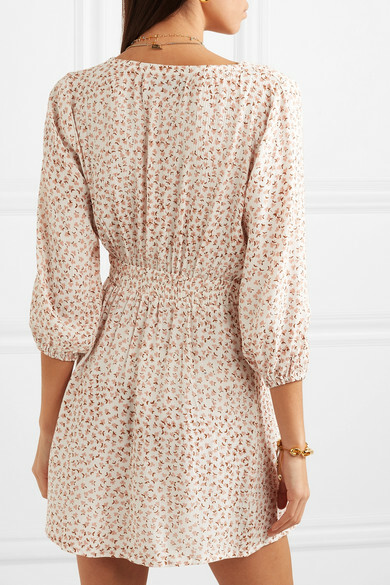 This dress is cut from crepe that's dotted with little flowers and has a crinkled finish (so it's easy to pack). The bodice closes with ties while the skirt buttons down the front. Shown here with: Kayu Tote, Cult Gaia Mules, Chloé Sunglasses chain, Tohum Bracelet, Leigh Miller Earrings, Chan Luu Anklet.